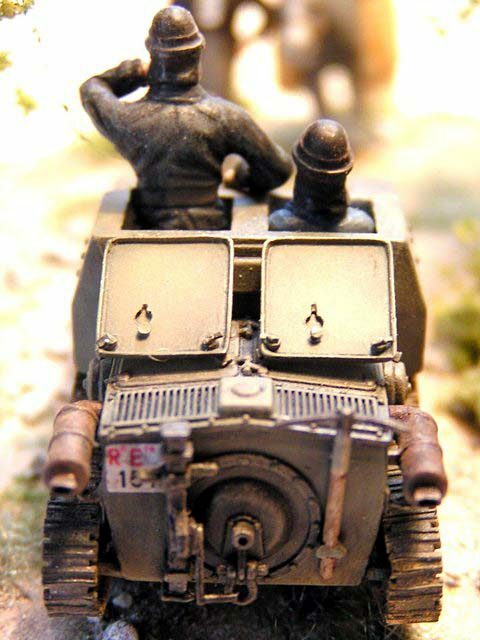 The model of vehicle has improved hatches, exhausts and some other details. 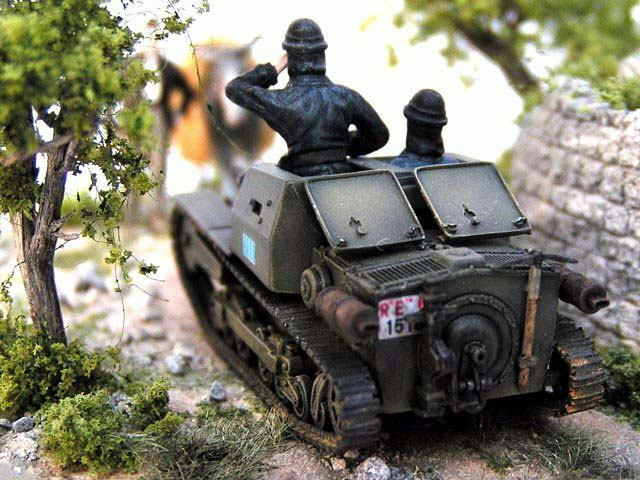 The Italian tank crew is from Milicast set. 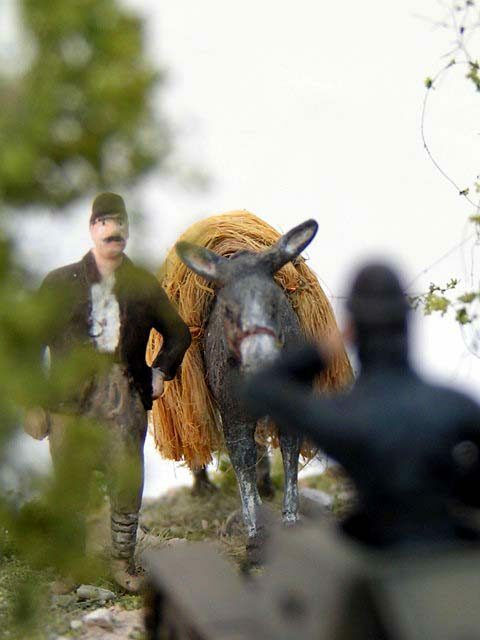 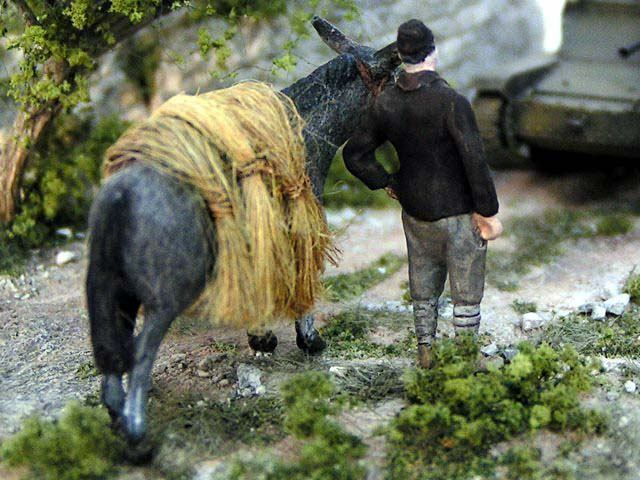 The Albanian farmer is converted Preiser figure. 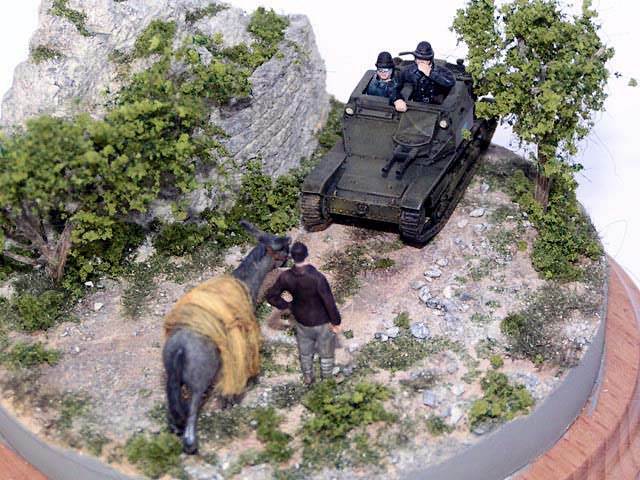 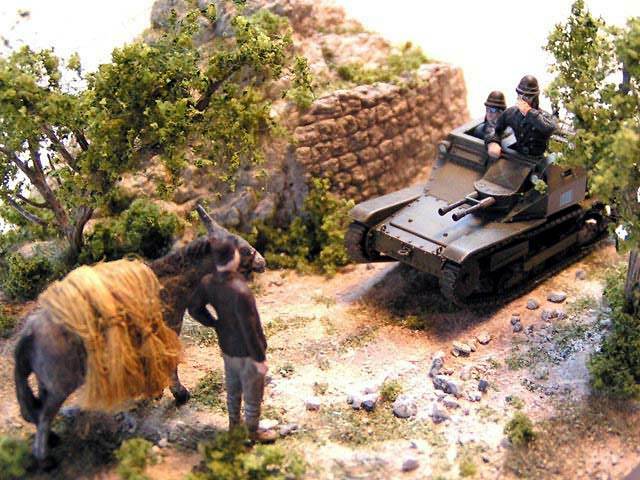 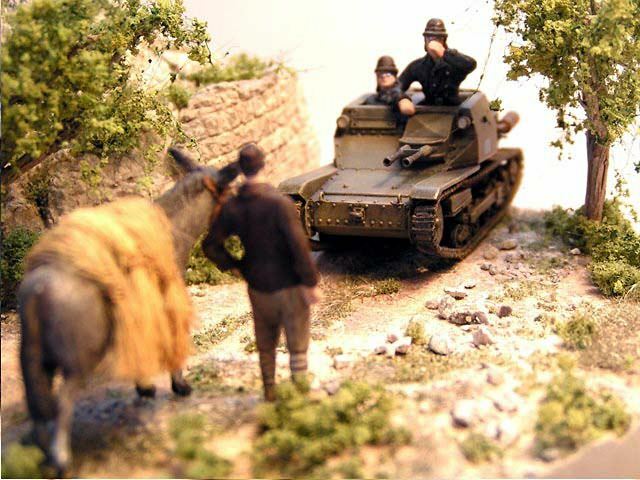 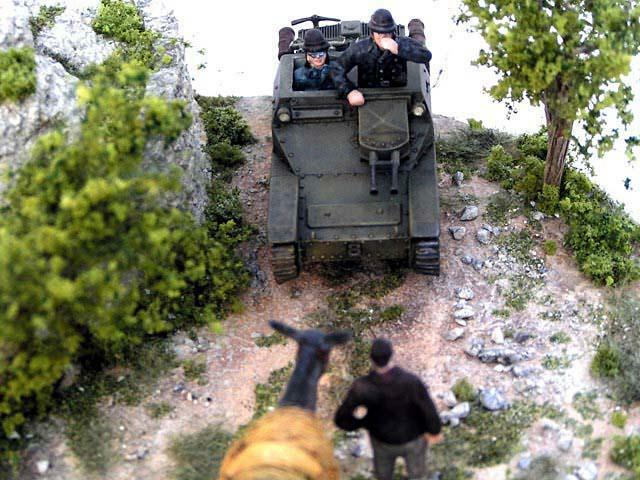 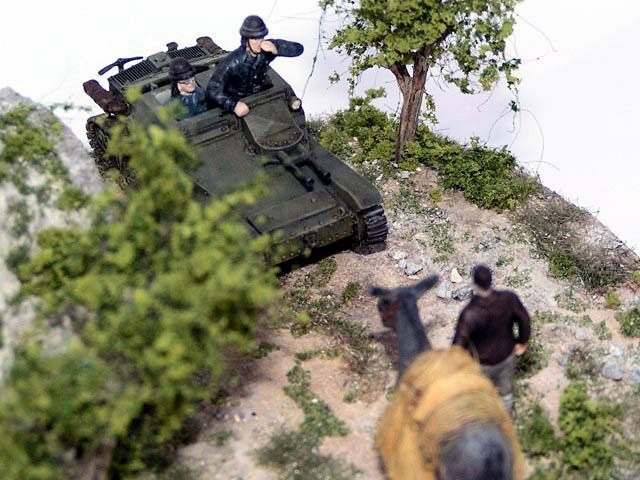 The mule if from Nikolai Model from Austria (by Erik Trauner).